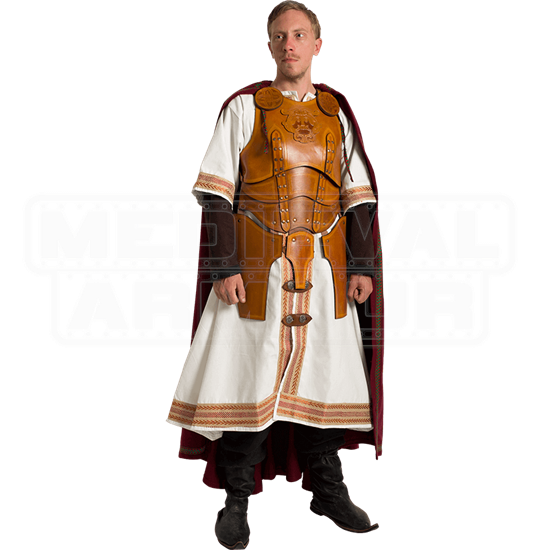 For LARP, Re-enactments or Ren Fairs, our King Tunic and Armour set is a great start or addition to your wardrobe. 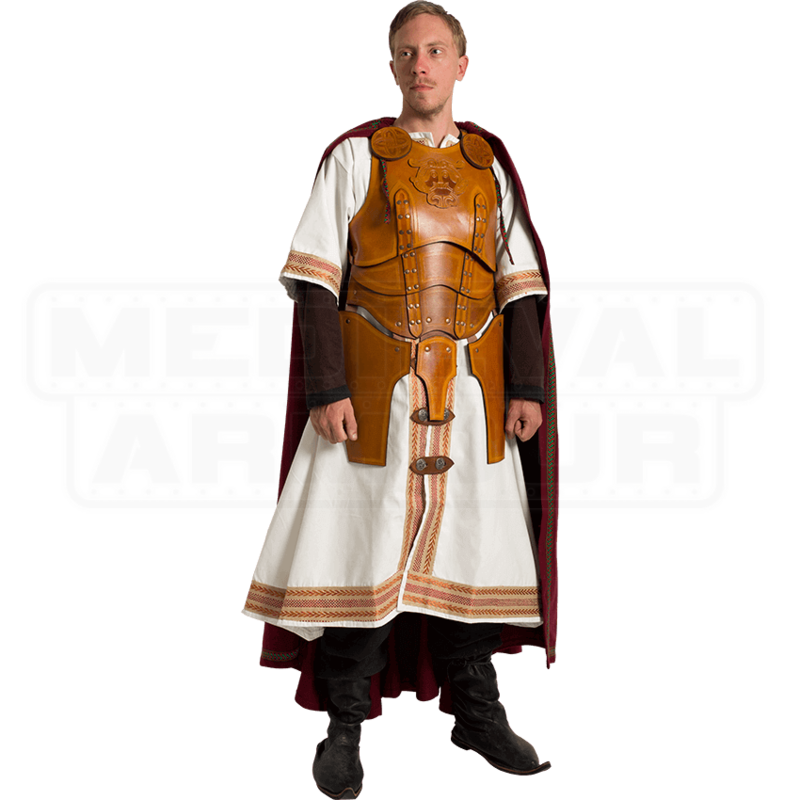 This set includes the body armour, the Kings long tunic and Cloak. The body armour comes in a rich, medium brown color with tooled designs. It has a full breastplate with groin and thigh tassets and a half backplate. The armour is made from vegetable-tanned 8 oz. leather. It is great for LARP, or you can wear it over chainmail for SCA re-enacting. The King Tunic is white with red and brown toned trim. The tunic has half sleeves and opens up along the front with leather fasteners, so a shirt and pants are needed. The cloak is red and attaches on to the body armour for a truly royal look. Tunic: Fits Chest Sizes up to 40 Inches and Waist Size up to 36 Inches, with 12 Inch Long Half Sleeves. Overall Length of Tunic is 46 Inches. Tunic: Fits Chest Sizes up to 50 Inches and Waist Size up to 40 Inches, with 13 Inch Long Half Sleeves. Overall Length of Tunic is 48 Inches.